Dynamic Plastics provides the skills and expertise necessary to move your project seamlessly from concept to completion. 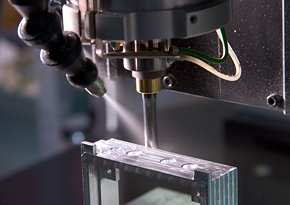 We have built our reputation on the ability to offer our customers a variety of tooling and molding options designed to meet their particular need. Our state-of-the-art tool room is equipped with the latest machinery and technology to ensure the highest quality and accuracy available. Whether your tooling needs are prototype, low-volume production, full production, or something in between (bridge to production), our team of highly skilled designers and toolmakers are prepared to provide the solution that is right for you. Dynamic Plastics' molding capabilities cover a wide range of applications that include intricate dimensional parts, highly cosmetic and textured parts, lens and light pipe/optical parts, insert molded parts, and overmolded parts, among others. With press sizes ranging from 75 to 500 tons in clamping pressure and capabilities extending to 2000 tons through local partnerships, we are able to support a wide variety of shapes and sizes to meet whatever your need may be. A team of well trained process engineers utilize a broad range of experience along with the latest mold flow software to make certain our processing techniques are optimized to ensure repeatability and cost efficiency. These established and documented processes, along with a dedicated quality department to validate them, allow us to provide you with the highest quality products every time. And if your project requires something unique to set it apart from the pack, ask us about the variety of Value Added services that we provide or manage. Our goal is to make you look good. Copyright © 2013 Dynamic Plastics Inc. All rights reserved.